The Spring Market hasn’t sprung as much as last year in the Greater Victoria Real Estate Market. With the newly introduced Speculation Tax, and the Mortgage changes introduced late last year, buyers have been facing uncertainty and hesitation. 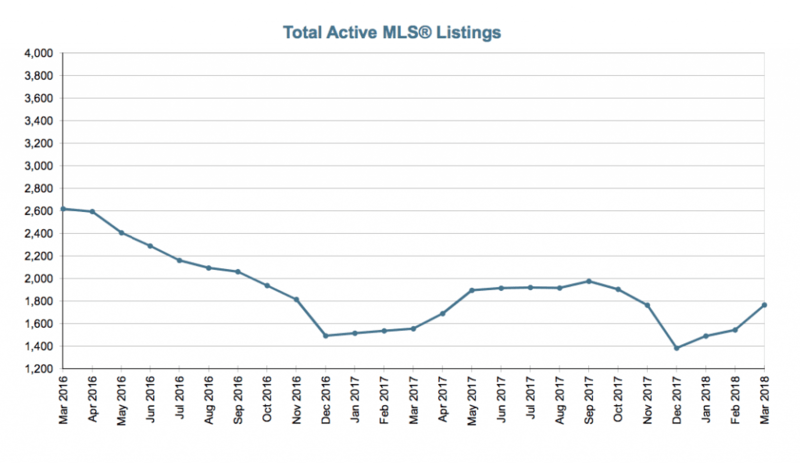 In March, we continued to see an increase of listings on the market ending in a total of 1,766 active listings at the end of the month. There were 311 condos for sale in Greater Victoria at the end of March, a 17% increase in inventory compared to last year. It’s typical that the Spring Market brings more listings to the market. Although we’re seeing a recent increase in active listings, we will still need to see more supply come to our market to balance out the high demand. We saw a 28% decrease in number of condos sold this month compared to last March, with a total of 211 condos sold. This is still an increase over February with 174 condos sold. As for prices, the average price per condo is at a 17% increase over last year, with the average price of $476,568. If you are looking to purchase or sell a property in the current market, or in the future, get in touch with The Condo Group for expert insight and advice at 250-382-6636.